ShanRock's Triviology: Portland's Best Quizzery Since 2005! Trivia Jock ShanRock and her team host fun and unique trivia nights all over town, several times a week. It's free to play, and the team victorious walks away with cash or prizes . . . and perhaps more importantly, glory! Have you tried the rest? Now try the best! Willamette Week's Best of Portland, that is! 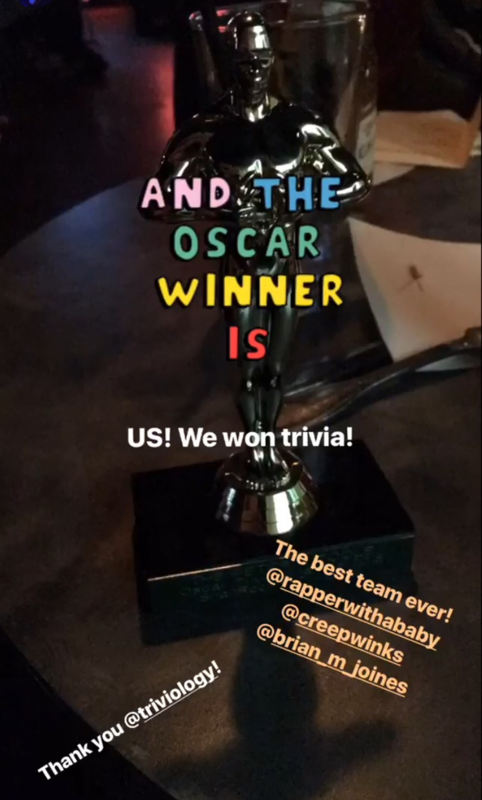 Also, I am thrilled that my team has been selected by the people of Portland as their Favorite Trivia Night in the Portland Mercury Reader's Choice Survey many times! 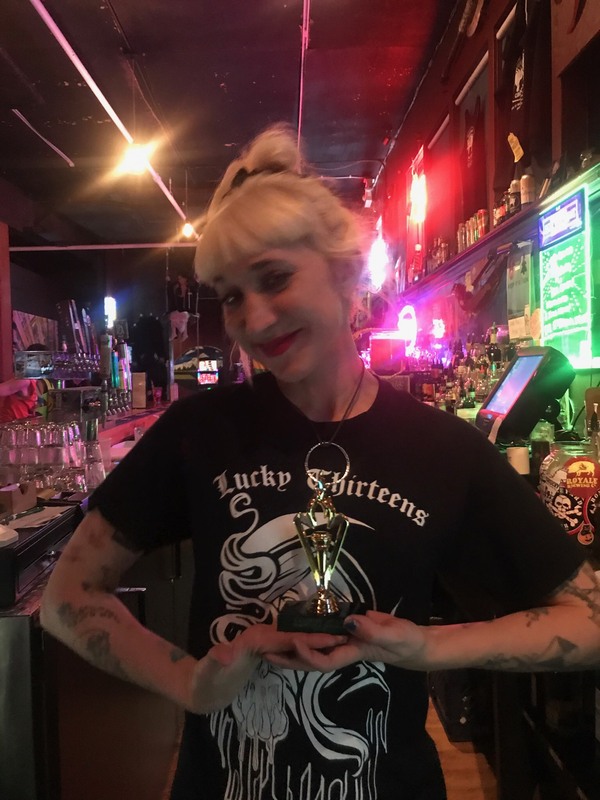 In addition, I have been honored as Best Entertainer In North Portland, have won BarFly's Town's Terrific-est TJ several times, and had my La Merde quiz night awarded the Portland Monthly title of Best Bar To Play! Triviology and Portland have been making beautiful trivia together for almost fifteen years; join us for the next fifty! Trivia Fundraiser for Leukemia & Lymphoma Society! The Return Of La Merde! Scrantonicity: The Office Trivia Night! If you've had your eye on the cute receptionist at work, this is a great opportunity to make extra-curricular time with them! A Teams, B Teams, and Just For Fun teams are all welcome, but only official Triviology pens will be allowed; I don't want my ARM to have to sweep the area for illicit recording devices. Brick or Block LEGO Tournament! This monthly competition challenges your originality, your building skill, and your ability to create with Lego bricks, according to a surprise theme. 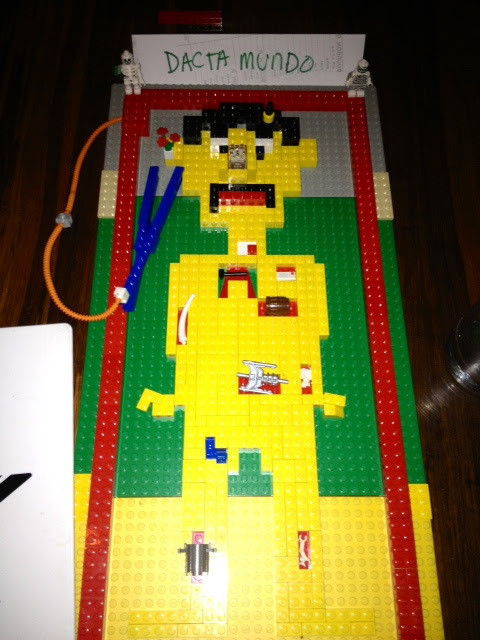 Your team will have 75 minutes to build a Lego creation which will be scored by a panel of three judges, including ShanRock. Prizes will be awarded to the builders of the two highest scoring masterpieces. 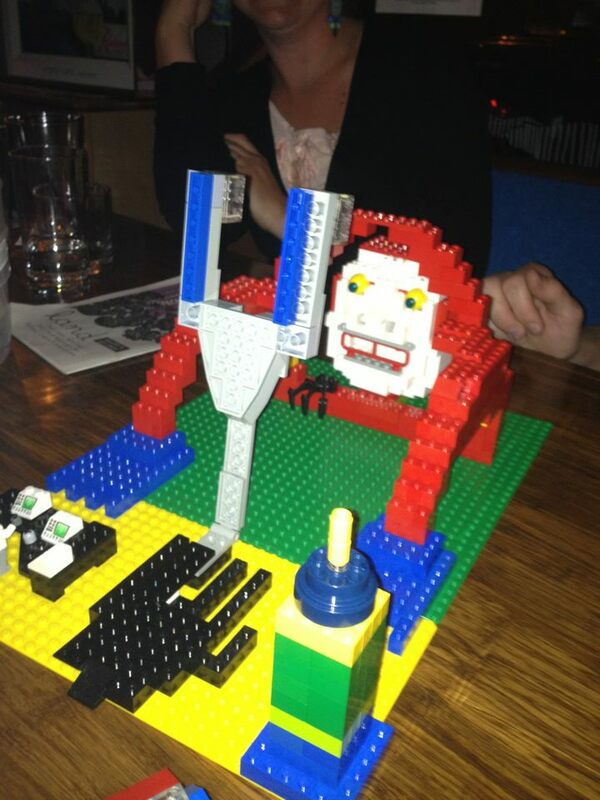 We supply the Legos; you supply the talent! Oscar Pub Quiz 2019 Champions: If BoyFight Could Talk!! 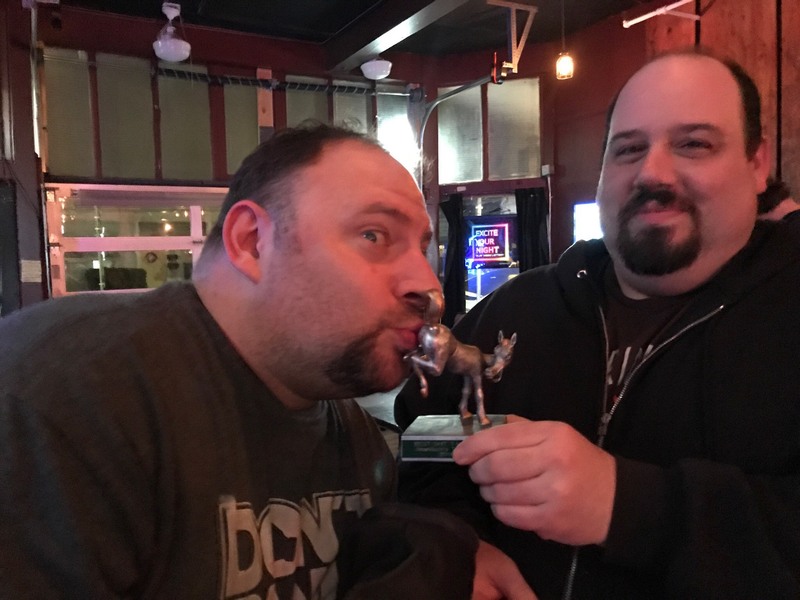 Clash of the Trivia Titans 2019 Champions!!! 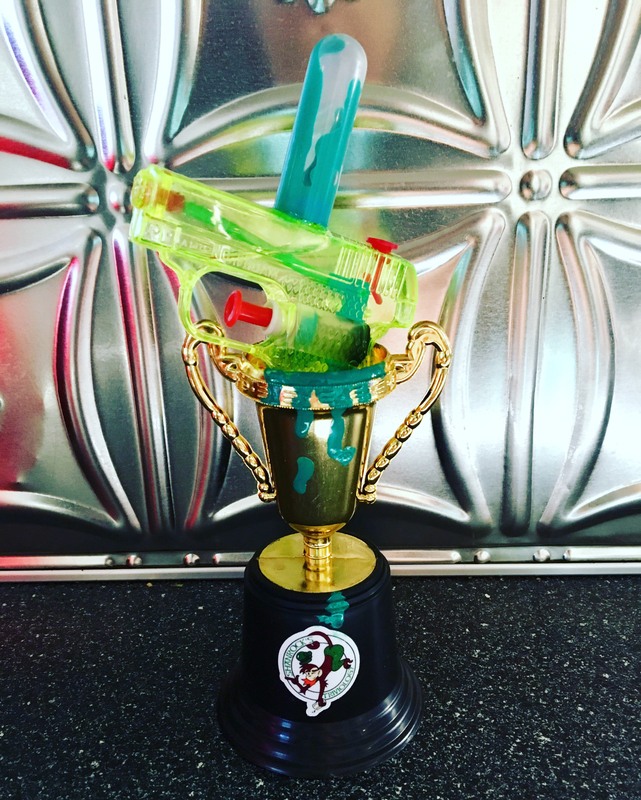 The Rick & Morty Trophy from a 2018 theme quiz! 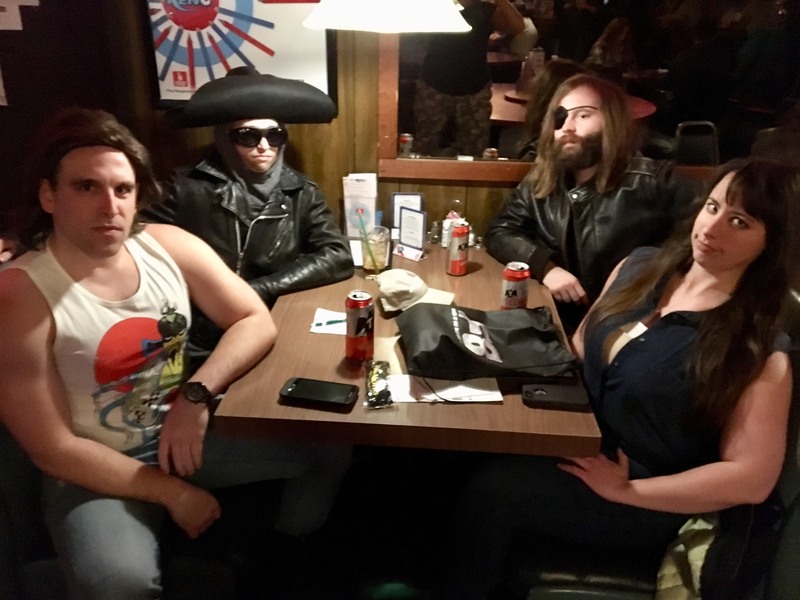 2018 CLASH OF THE TRIVIA TITANS CHAMPIONS! OSCAR QUIZ CHAMPIONS: LOOSE STUHLBARGS (a subsidiary of Team Boyfight™)! Next Sunday is the Clash of The Trivia Titans, and everyone is invited to play! It’s only $5 person, which gains you entry for the whole event . . . and a prize! Registration is at 5:00, and the Olympian Open (which is a regular Triviology quiz, minus the Physical and Whammy challenges) starts at 5:30. The Olympian champion becomes the wild card seed who goes on to compete in The Titan Invitational (same format as The Open), which will start about 8. The Titans are those teams that have won . . . 15 times or more since the last Clash of the Trivia Titans.That’s right, I have lowered the magic qualifying number to 15! Why? Because I endeavor each year to find the perfect number that doesn’t shut any teams out of Titanship by only one win. Every single team this year has won 15 times or more, OR 13 teams or less. And, for those intrepid teams that are still struggling to become Titans, it is possible for you to still qualify, right up until The Slammer quiz the day before the tournament! Here are your best bets for wins: Cruzroom on Tuesday @ 7, The WorkShop Pub on Wednesday @ 8:30, or Kenton Club on Thursday @ 9. Olympian Open Champion: Your Name Here! How about these bad boys? OK, back to knitting that final champion scarf! And remember that I now have a ShanRock’s Triviology “Like” page on FaceBook, as well as a Clash of the Trivia Titans Event Page, if you’d like to start the smack-talk early. Clash of the Trivia Titans! *Everyone is welcome to play, and receives a prize just for participating! Compete for engraved trophies, and tons of prizes! *Stick around after the quiz to watch the Academy Awards on the big screen! The Peter O’Toole trophy goes to the team with the greatest Oscar knowledge; The Swan trophy goes to the individual with the most excellent outfit. 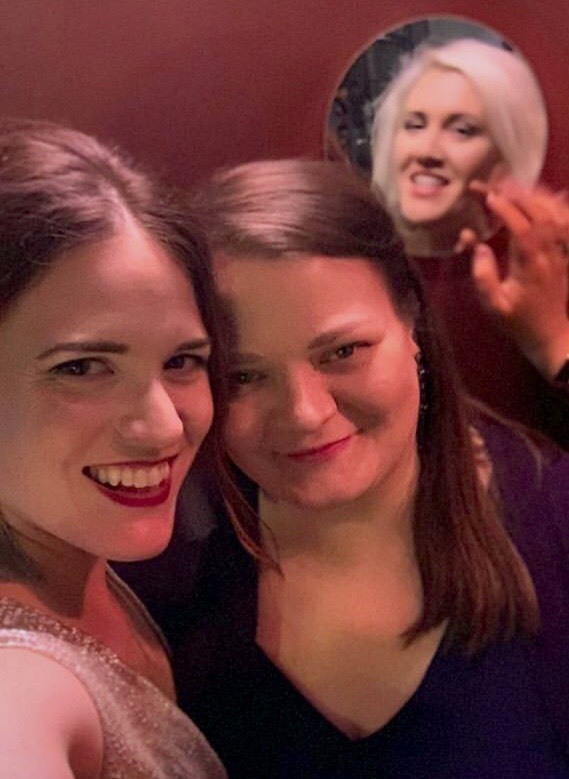 DRUNKEN REGRETS #1: DAWNEESHYA R.I.P. Thanks for making the trivia with me, people! Sadly, this will be our final night making the trivia at this venue, so this will be your last chance to make your mark here! And don’t despair, John Gordon fans – he will continue on as trivia jockey at Kenton Club. He had a blast with the crowd there last Thursday, and wants you to come play with him! Here’s the lastest on the Clash of the Trivia Titans (which must be fast approaching since the 6th anniversary of Triviology was last Wednesday!) . . . although absolutely everyone is welcome to participate in the game, it is the teams who won 18 times or more in 2010 that will qualify to officially participate in the Titan Invitational portion of the evening. Check out the details here, and feel free to call or Email me with any questions. If you haven’t been keeping a tally of your wins, fear not – I have! All the champions for the “trivia season” (the whole year since the last Clash of the Trivia Titans) are listed in my Hall of Fame. If you think you’re close, it is a good idea to contact me, and make sure that I have the same win tally as you do. If you want more wins (you can play to qualify right up to the very day before the tournament), I highly recommend playing at either Da’ Hui on Mondays or Cruzroom on Tuesdays – we happen to have lower attendance at these venues right now, so the odds are in your favor! The kids have been telling me I need a ShanRock’s Triviology “Like” page on FaceBook . . . so now we’ve got one! I invite you to show me some love by clicking on the infamous “Like” button. Of course, I will still totally be your friend on my profile page, (which will still probably be at least 50% Triviology related! ), and there’s always still the ShanRock’s Triviology Group, as well. On a final note, East Burn trivia will go on as normal this Sunday at 6:00, despite the Super Bowl – the show must go on! *Everyone is welcome to play! Compete for engraved trophies, and tons of prizes! STILL, WHERE DID THE TRIVIA COME FROM? YOUR SUPER BOWL CHAMPIONS: THE SEATTLE SEAHAWKS!